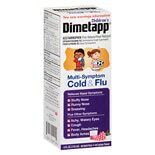 Shop Dimetapp Multi Symptom Cold and Flu Red Grape (4 oz. )4 oz. $799$7 and 99 cents$2.00 / oz. 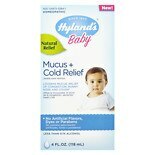 Shop Hyland's Baby Mucus & Cold Relief Liquid (4 oz. )4 oz. 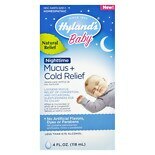 Shop Hyland's Baby Nighttime Mucus & Cold Relief Liquid (4 oz. )4 oz. 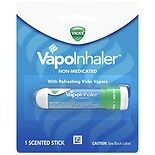 Shop Vicks Sinex VapoInhaler (.01 oz. ).01 oz. The Walgreens Online Flu Center provides important flu information to help you protect your little ones throughout the flu season. Flu symptoms, such as high fevers and fatigue, often occur suddenly and without warning. With that in mind, stay informed on the different types of flu and flu vaccines and keep your medicine cabinet stocked with the kids flu medications and kids cough remedies available at Walgreens.com. For total protection against the flu virus, schedule flu shots today for your children at Walgreens.com.